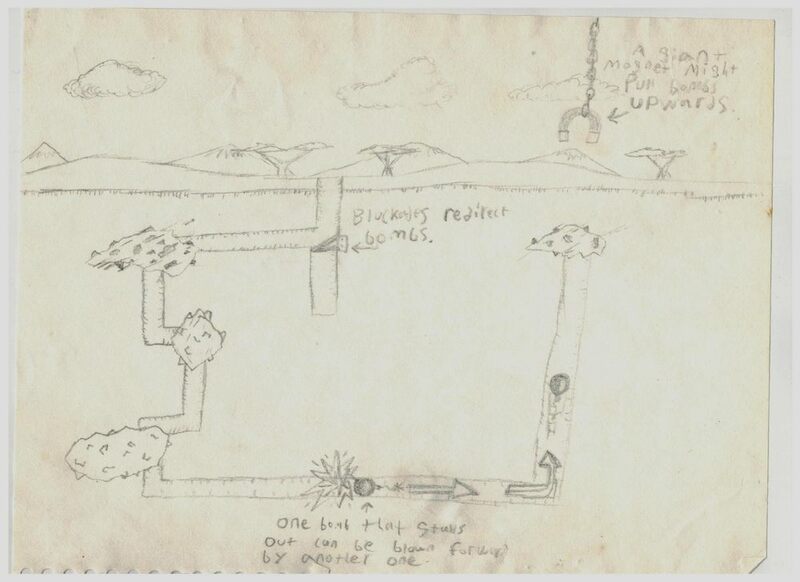 Early conceptual designs intended for the player to drill additional channels into partially completed mazes of tunnels to reach needed ores, and then bombs would roll down those tunnels, guided by ramps and blockades, to reach their destinations. The naturally occurring problem of bombs stalling out along the way led to the far more interesting mechanic of bombs being able to propel each other, and the idea of making players drill their own tunnels was soon scrapped. 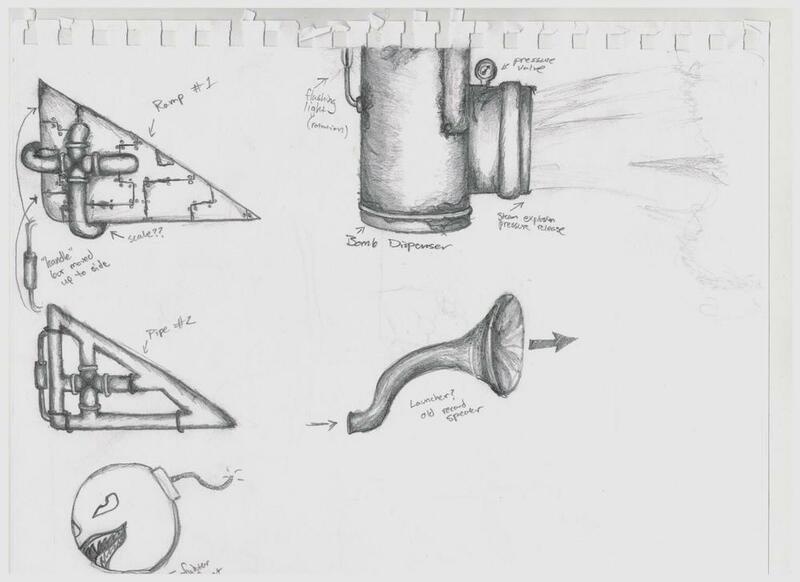 After the idea of bombs being able to blast each other forward was introduced, level sketches of tunnels began to include cavities with angled surfaces the bombs could play off of. The primitive concept of a maze of tunnels soon gave way to open caverns filled with platforms, slopes, lakes and rocks which the player must contend with. Bigger spaces meant more freedom and called for more tools to be added to the game. This concept sketch toyed with the idea of elaborately-constructed tools that would perform simplistic tasks, before it was decided a more utilitarian approach would work better in the claustrophobic environments the tools must sometimes occupy. Also depicted here is an example of a bomb complete with war paint. Later level sketches made certain to allow players multiple paths to choose from with the simple turn of a ramp. Early list of tools and their descriptions.